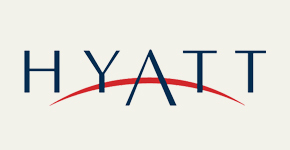 Hyatt Hotels & Resorts worldwide offer the comforts for business and leisure in its 5 star accommodations. Travel the globe to find Hyatt Hotels & Resorts welcoming you to a relaxing experience. 500 Royal Skies miles. Rooms must be registered under the paying member’s name to receive the miles. Royal Skies members who are also Hyatt Gold Passport members must choose to receive only one of the following benefits for each stay: Gold Passport points or Royal Skies miles. Contact details: Visit www.hyatt.com for worlwide Hyatt Properties.